"Great prices and good reviews of the items for sale. I was very impressed with the professionalism of the site." All Allyson and her friends want is a peaceful, grown-up evening of dinner and conversation... a long-needed moms’ night out. But in order to enjoy high heels, adult conversation and food not served in a bag, they need their husbands to watch the kids for three hours—what could go wrong? 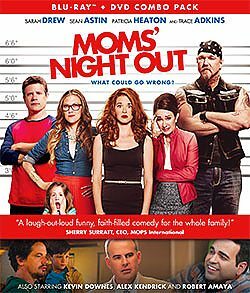 MOMS’ NIGHT OUT is an endearing true-to-life family comedy that celebrates the beautiful mess called parenting. Format: DVD Region 0 What's a Region Code? Languages: Englishm French (PAR), Portuguese, Spanish, Thai. The saga of this simple carol has become the anthem of Christmas. There's no bond stronger than family ties. Destiny isn't a matter of chance. It's a choice! Performances and history of the song Silent Night and other Christmas favorites.